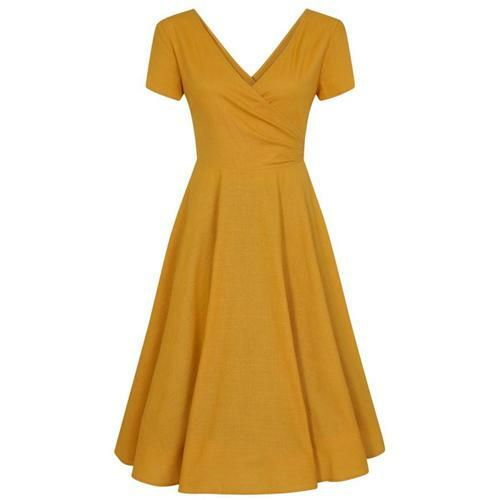 A new style for this season from Emily & Fin, the Aria Dress is inspired by 50s vintage summer dresses with a flattering curved waistline, wrap V-neckline and a feminine A-line, knee length skirt. 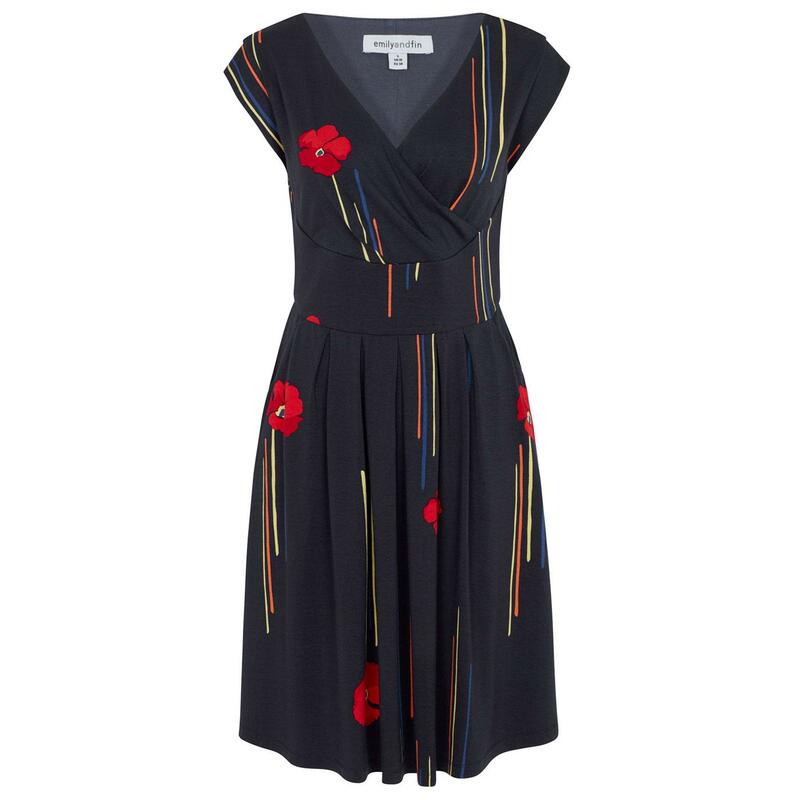 Navy with an all over vintage inspired California Poppy floral print, this dress is casual enough for holidays and every day wear, but can also be dressed up for parties, weddings or special occasions. 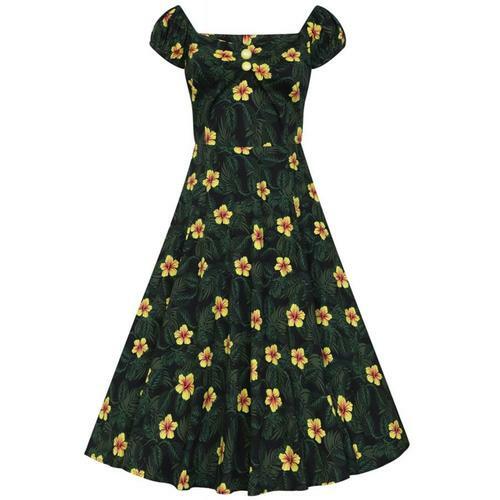 Emily & Fin Aria Retro Summer Dress in California Poppy floral print. 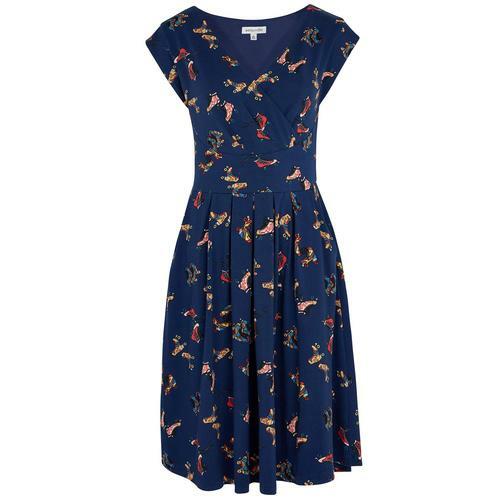 Navy jersey dress with all over vintage inspired print. 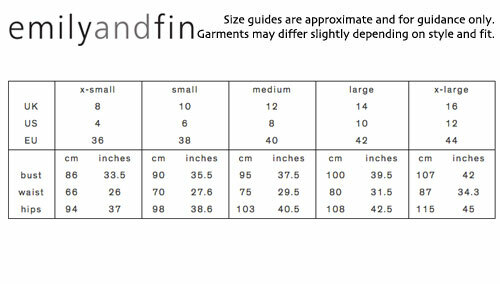 SKU: ARD-0294JE Emily & Fin Aria Summer Dress in California Poppy print.